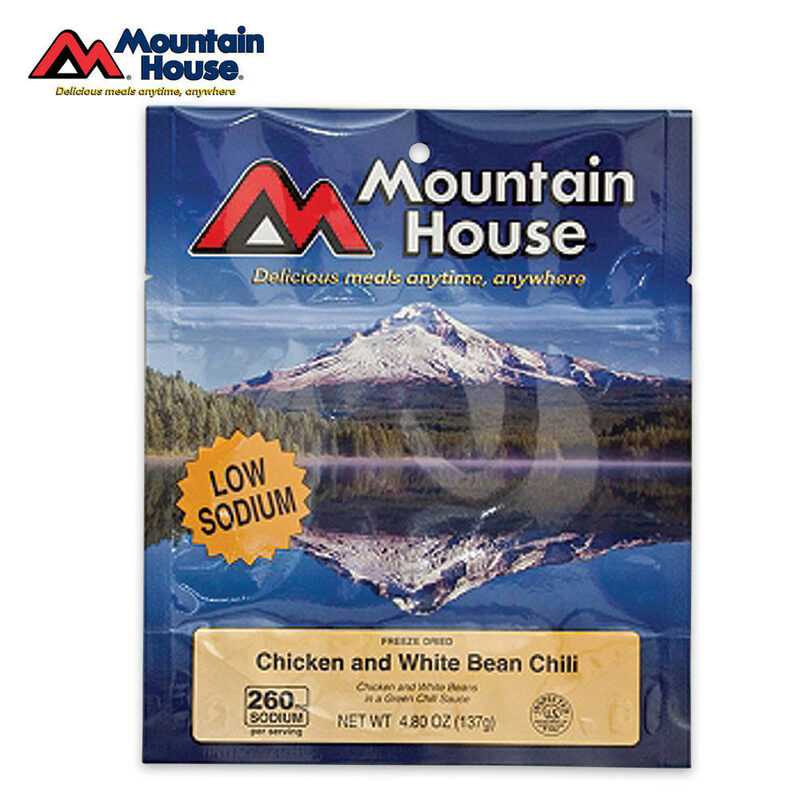 Mountain House Chicken & White Bean Chili Vacuum Sealed Pouch 2.5 Servings | BUDK.com - Knives & Swords At The Lowest Prices! When catastrophe strikes, the last place you want to find yourself is scrounging around for food. Thanks to this chicken dinner from Mountain House, you won't have to do that if you prepare ahead of time. This delicious chicken and white bean chili meal brings you delicious chicken, white beans and vegetables in a tasty green chili sauce. Simply follow the package instructions, and in a few minutes you will have a wholesome, hearty dinner! Best of all, you don't have to worry with messy pots, pans or cooking utensils; just prepare it right in the pouch! It has a suggested shelf life of 10 years, making it great for camping, outdoors and bug-out bags.